If you face some boundaries in your FS19 then you should take a look at our suggested Farming Simulator 2019 Trailer Mods. These files can make miracles and add much value to your farm. What if there were no problems to transport various livestock or harvesting from one place to another? With Landwirtschafts Simulator 19 Trailer Mods you can achieve even more. Ease your logistics and organize all processes more efficiently with only few additional files. Sounds unbelievable? 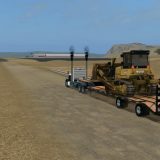 Then pick your favorite Trailers mod Farming Simulator 2019 and explore its features. You will realize that there is so much you were missing all the time! Why to say no to new opportunities. If you are ready to play smart and be innovative, we are here to support. 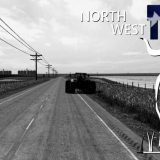 One of the best things is that there are no costs – FS 19 Trailer Mods free files are free of charge so enjoy them as much as you want. This is why players around the world are kind of obsessed with these extra features – they are so useful in various difficult situations that it’s simply impossible to ignore them. 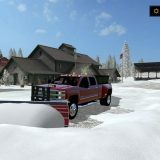 If you want to check, why these files are so rewarded, complete LS 19 Trailers Mods download and test it personally. This is something you cannot miss – don’t let others to overrun you and stay in front of everyone. Be creative and add the craziest ideas to your strategy, we assure it will pay off. There is no time to play dull – be brave and try new tactics!